Patrick Rothfuss, Jim Zub and Troy Little bring the two properties together in a four-issue limited series. 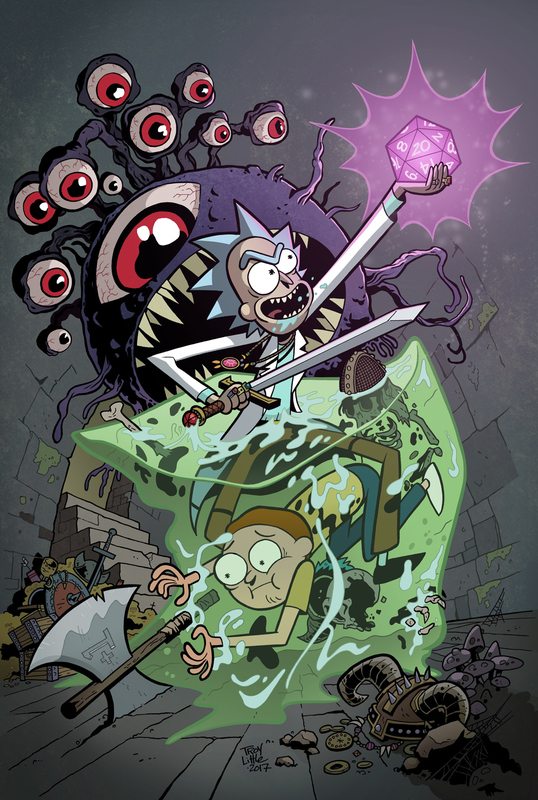 The stars of Adult Swim’s popular Rick and Morty will enter the world of Dungeons & Dragons this summer in a comic book crossover by Patrick Rothfuss, Jim Zub and Troy Little. At this weekend’s C2E2 convention in Chicago, IDW Publishing and Oni Press, who respectively publish the D&D and R&M comic books, announced the four-issue comic book series, which will debut in August.